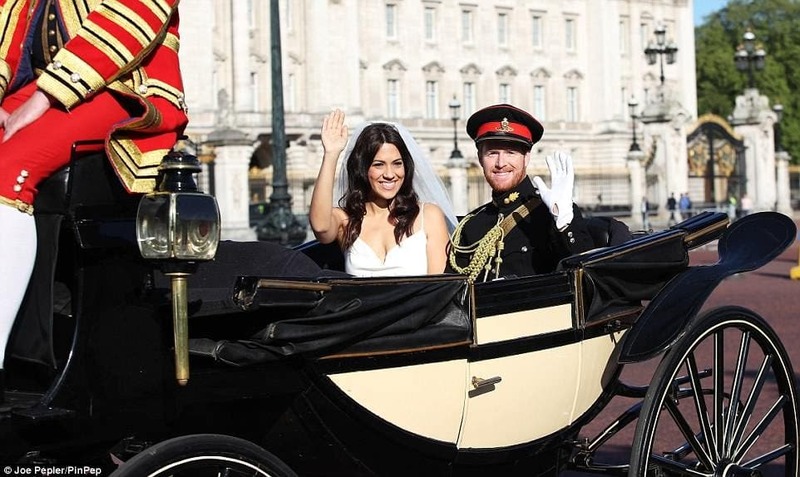 A BRITISH and Spanish couple have been named the best Prince Harry and Meghan Markle lookalikes in Europe. Rhys Whittock and his Spanish girlfriend Inmaculada Santisteban Serrano beat out 3,000 entrants in the contest, launched by budget airline easyjet. The pair had to impress the panel with their regal wave, romantic wedding proposal and bridal bouquet throw. Around 3,000 flew into London for the final round of judging ahead of the royal wedding on May 19. The winning couple have won a year’s worth of free flights. The UK’s other finalist Danni Burnett, was awarded second place in the contest alongside Carlos Lamothe Blazquez from Spain. Head judge Duncan Larcombe, who crowned the winning couple, said: “I was bowled over by the calibre of the finalists and think that they all possessed traits associated to the famous Royal duo.